INTEGRA CPD currently comprises mainly workshops, groups, courses and events run by Morit Heitzler and Michael Soth who have been teaching and leading groups for many years (they have between them more than 50 years of experience of running groups and workshops). Michael co-facilitates CPD weekends with his friend and colleague Nick Totton who is the most experienced therapist, group leader and writer on embodied-relational therapy. In the future we will invite some selected colleagues to join us in delivering the programme. We will expect them to not only have exceptional qualities, knowledge and skills as therapists, but they must also be good teachers and groupleaders, i.e. have the ability to set up and facilitate experiential group environments that are conducive to participants maximising their learning. 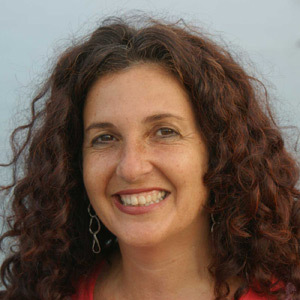 Since 1996 Morit has been teaching regularly at Riedmann College in Israel (on character styles and other topics of body-oriented psychotherapy), has been running a wide variety of workshops on her integrative approach to trauma work, and courses on ‘The therapeutic relationship’ for complementary and bodywork practitioners. For many years she has been the supervisor for counsellors at the Oxford-based charity Refugee Resource. She also has special expertise in supervising complementary therapists, especially those who practice bodywork. Michael taught the main module of the 3rd-year training group ‘Charge in the therapeutic relationship’ at Chiron for many years (1993 - 2010), alongside teaching on various counselling and psychotherapy training courses since 1986. Over the last few years he has focussed on CPD training, on a wide range of topics, both through other organisations (e.g. CONFER, CABP, etc) and independently, sharing his integrative-embodied-relational approach with a wide range of therapists from across the modalities. Since 1988 he has worked as a supervisor for a wide range of therapeutic practitioners, and also mentors group facilitators, coaches and organisational consultants. He also has experience of group dynamics as well as facilitating organisations. If we apply therapeutic (rather than only academic) principles to our learning process as therapists, the kinds of events that make a tangible difference to our practice need to engage the whole person and need to include a mixture of learning processes and styles. For more information about our approach to CPD learning, and how we aim to integrate participants’ learning process (both theoretical and skills-based) with their personal process as well as with the group process, see our more detailed pages on ‘Your Learning‘. This website is dedicated to the continuing professional development of counsellors and psychotherapists, and does not give information about our private practice as therapists. If you are seeking individual therapy, you may want to contact Morit or Michael for the Assessment & Referral Service they are offering. To work with Morit individually in Oxford, you can refer to her website. She offers short and long-term individual psychotherapy, specialises in trauma treatment (integrative, somatic, including EMDR) and offers individual supervision for therapeutic practitioners (especially trauma therapists) as well as complementary therapists. As well as the small supervision groups included in the INTEGRA CPD list of events, both Morit and Michael also offer individual supervision (in Oxford or via Skype). Please get in touch if you are interested and want to be included in the waiting list we are currently maintaining for this. Both Morit and Michael have some limited availability to give workshops, evening seminars or other training input for your organisation, counselling service or psychotherapy associations. Occasionally they give input into a variety of therapy trainings as guest tutors. To enquire about these possibilities, please get in touch using the contact details below. Michael Soth is an integral-relational Body Psychotherapist, trainer and supervisor (UKCP), living in Oxford, UK. Over the last 30 years he has been teaching on a variety of counselling and therapy training courses, alongside working as Training Director at the Chiron Centre for Body Psychotherapy. Inheriting concepts, values and ways of working from both psychoanalytic and humanistic traditions, he is interested in the therapeutic relationship as a bodymind process between two people who are both wounded and whole. 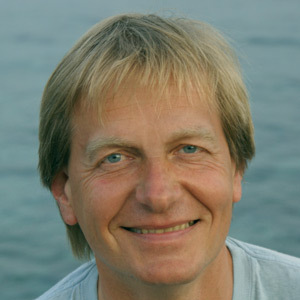 In his work and teaching, he integrates an unusually wide range of psychotherapeutic approaches, working towards a full-spectrum integration of all therapeutic modalities and approaches, each with their gifts, wisdom and expertise as well as their shadow aspects, fallacies and areas of obliviousness. In his work and teaching, he integrates a wide range of psychotherapeutic approaches, including Body Psychotherapy, Gestalt, Process-oriented Psychology, Psychosynthesis, Family Constellations and other humanistic approaches (Transactional Analysis, person-centred, Focussing, ). He is familiar with systemic and existential perspectives as well as constructivist, NLP and cognitive approaches. From the psychoanalytic spectrum, he draws especially on relational, intersubjective and object relations perspectives, as well as Jungian and archetypal psychology. In the profession he is known for his integration of relational with bodymind perspectives, his work on ‘enactment’ and paradox as well as his experiential teaching style. In the 1980’s he worked on the self-directing counselling courses at South-West London College (which later transferred to Peckham/Southwark). There he first learned about large groups in a multi-cultural context and about parallel process (with a learning community of between 40 - 60 students and 4 tutors, the dynamics of the whole large group would often become reflected and paralleled in the tutor team). Here he also learned to integrate his passion for self-organising social systems (Open Space) with attention to unconscious processes and collective transference and power dynamics. In 1992 Michael became a trainer at the Chiron Centre for Body Psychotherapy (where he had earlier completed his own training as a psychotherapist) and initially ran psychotherapy groups. In 1992 he took over the teaching of the 3rd-year training module ‘Charge in the Therapeutic Relationship’ from Rainer Pervoeltz - a one-year module which he taught for the following 15 years until the closure of the Chiron Centre in 2010. This was the context in which he developed much of his thinking and teaching. During the 1990’s Michael also taught on an integrative psychotherapy training in Oxford, where he learned about Process-Oriented Psychology which has become a significant element in his integrative approach. During the 1990’s his focus was on re-integrating the Reichian and psychoanalytic traditions, challenging some of the inherited dogmas of his own training and tradition and addressing its shadow aspects and wounds. Two key insights during this period were: as therapists we inherit the wounds both of our original family and of our therapeutic ancestors; and in its fragmentations and polarisations, the therapeutic field with its rich diversity of approaches reflects the plural psyche of its clients and practitioners. This phase led to re-formulations of key concepts of Body Psychotherapy, challenging the limitations and pathologies of character structure theory, the imbalances of catharsis versus containment and led to the notion of the ‘conflicted ego in conflict with a spontaneous conflict’ and eventually his formulation of the ‘relational turn’ in Body Psychotherapy (enactment in the language of Body Psychotherapy: “It is impossible to pursue a ‘therapeutic’ agenda of breaking through the armour or undercutting the ego’s resistance without enacting in the transference the person whom the armour/resistance first developed against.”). In about 2002 his focus became the paradoxes of the therapeutic position and in recent years his emphasis has been on developing further Petruska Clarkson’s notion of a multiplicity of relational modalities into what he calls the ‘diamond model of modalities’. For the last 12 years he has been elaborating his integral model of parallel process, which he calls the ‘Fractal Self’. He has written numerous articles and is a frequent presenter at professional conferences. Extracts from his published writing (including several book chapters) as well as summaries of presentations are available in the Resources section on this site. He has written, for example, a chapter on ‘Embodied Countertransference’ (Totton, N. (2005) “New Dimensions in Body Psychotherapy”, Maidenhead: OUP), and his presentation to the 2004 UKCP conference ‘What therapeutic hope for a subjective mind in an objectified body?’ was published in 2006 (“About a Body”, ed Corrigall, J. Payne, H., Wilkinson, H., Routledge). He was co-editor of the Handbook of Body Psychotherapy & Somatic Psychology (2015), the first comprehensive and internationally representative textbook of this discipline. Morit is an Integrative Body Psychotherapist (UKCP) based in West Oxford, where she maintains a private practice. As well as working with individual clients and supervising psychotherapists, counsellors and complementary practitioners, she is an experienced teacher and group leader. For the past 20 years she has been teaching Integrative Body Psychotherapy and Trauma Work as well as leading Family Constellation groups in England and Israel. Over the past 25 years she has been working with people from a diverse spectrum of cultural and ethnic backgrounds, spiritual and religious beliefs, age and sexual orientation. "I deeply enjoy and appreciate meeting the similarities and differences in the other person as we are working together with our human limitations and potentials toward acceptance and empowerment." As an Israeli and second generation holocaust survivor, she has a special interest in working with trauma and its transgenerational manifestations. For some years she worked as a team member with the Trauma Service at the Maudsley Hospital, London, where she practiced Somatic Trauma Therapy and developed her own integrative approach to trauma work. She then worked as a team member at The Oxford Stress and Trauma Centre. For some years now she has been the external supervisor for Refugee Resource, Oxford where she supervises a team of counsellors working with refugees and asylum seekers. Over the last decade she has developed an integrative approach to trauma work, incorporating - within an overall relational perspective - Somatic Trauma Therapy, Body Psychotherapy, attachment theory, EMDR, modern neuroscience and Family Constellations. She is regularly being invited to teach this integrative approach through workshops and seminars in the UK and abroad. Morit has been supervising counsellors and psychotherapists from a variety of schools and modalities for many years, especially practitioners who work with trauma and developmental trauma. Morit offers supervision for complementary practitioners, body workers, massage therapists and helping professionals, both on an individual basis and in small groups. For some years now, Morit has been running several small supervision groups for complementary practitioners (4 participants), meeting monthly in Oxford. Please get in touch if you are interested in participating. Morit studied and gained her diploma at the Chiron Centre for Body Psychotherapy, London and later acquired an MSc degree in Integrative Psychotherapy at Metanoia Institute/Middlesex University. Since then she has completed further trainings in Group Facilitation, Supervision, Somatic Trauma Therapy, E.M.D.R. and the systemic approach to Family Constellations. She first entered the field of complementary medicine 25 years ago in South East Asia where she lived and studied Shiatsu, Acupuncture, Thai Massage, Tai Chi, Yoga and meditation. Later she moved to London and practised Holistic Massage, Aromatherapy and Biodynamic Massage. In her practice now, she combines the knowledge and experience she acquired in the Far East with Western approaches and methods. She is a UKCP registered Integrative Psychotherapist and an EABP registered Body Psychotherapist. She is also a member of the following professional organisations: CABP, EMDR Association. Heitzler, M. (2011) Crowded Intimacy - Engaging Multiple Enactments in Complex Trauma Work. In: British Journal for Psychotherapy Integration, Vol 8, Issue 1 (2011), p. 15 - 26. Contemporary Body Psychotherapy is a book edited by Linda Hartley, published 2008, with chapters by both Morit Heitzler: "Integrative Trauma Therapy" and Michael Soth "From humanistic holism via the ‘integrative project’ towards integral-relational Body Psychotherapy". About a Body comprises the proceedings of UKCP conference 2004, with a chapter by Michael Soth: "What therapeutic hope for a subjective mind in an objectified body?". New Dimensions in Body Psychotherapy edited by Nick Totton, published in 2005, with a chapter by Michael Soth on "Embodied Countertransference". This book (which I spent a good year helping to edit and contribute to) was published in 2015. It is the updated English version of a book that was published in Germany in 2007. 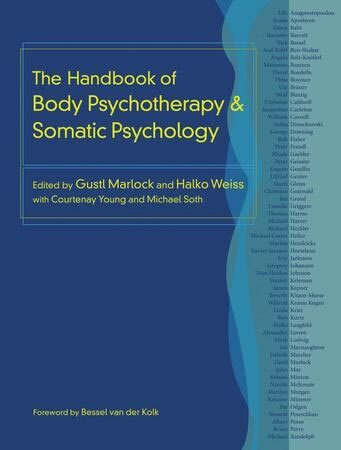 It was a grand and magnificent undertaking, by the original editors Gustl Marlock and Halko Weiss, to bring together the very diverse and disparate global community of body-oriented psychotherapists in one big compendium (I wrote a review of that German edition in 2007). With the body having gained so much recognition over recent years (considering how ignored and neglected an aspect of the therapeutic relationship it had a previously been), this publication is timely. Half of the book was originally written in German, and had to be translated for the English version. For fairly haphazard historical and organisational reasons, the UK branch of Body Psychotherapy (including Chiron and Nick Totton) is significantly under-represented in the book - this is largely because very few of us participated in the European Association for Body Psychotherapy during the first 15 years of its existence (it was the networking between members of EABP over the years which spawned the book). You can get a 30% discount ($69.99 rather than $99.99) on ordering that book directly from North Atlantic Books.